The industry’s No. 1 and easiest-to-access training. Billions of dollars spent over the years promoting you – the agent. Benefits of Being a RE/MAX Agent – What’s Really in it for You? · Custom, state-of-the-art agent websites with customized blogs. · Featured Zillow.com & Homes.com listings. · Your listings will be syndicated to over 150 websites. · Training offered in various real estate subjects. · A professional office specialist that will work hard for you while you’re out making money. · RE/MAX Premier Group HomeLine Lead Generation System. · Lead generation tool to capture potential buyers and so much more! RE/MAX and industry statistics alike confirm that training and professional designations correlate to more business and higher earnings. RE/MAX University delivers the industry’s No. 1 training – on your schedule: Online. On demand. On DVD. On your iPod. On our own TV channel. In the classroom. And by streaming video and audio. All focused on helping you earn more – starting now. Work with the industry’s largest contingent of professionals holding the ABR, CRS, CLHMS, SRES, CRP and PMN designations. And work toward a top professional designation yourself from your home or office via the RE/MAX Satellite Network. Nothing shows the “learning and earning” correlation more clearly than comparing average earnings of designation holders to non-designees – and nobody makes it easier for you to keep learning than RE/MAX. RE/MAX compiles knowledge from our most successful agents and the industry’s leading trainers and consolidates it at the RE/MAX Global Education Center in Denver. RE/MAX University delivers this knowledge to affiliates via DVDs, satellite television broadcasts, classroom training, online streaming video and audio, downloads, podcasts, conferences, and seminars. The entire focus is on enabling you to reach your true career potential as a top-producing RE/MAX Associate. Look through the RE/MAX University Catalog (Download the PDF) to see how extensive the training is, and you’ll quickly realize why nobody comes close to matching RE/MAX training. The flagship component of RE/MAX University is the RE/MAX Roku Channel. The first and only proprietary television network in the real estate industry, RSN broadcasts news, education (including professional-designation courses) and motivation to RE/MAX Associates across North America. Tune in and take your career to heights you never imagined being able to reach. You can watch it live on your computer or on your TV. Agent Training On Demand is a dedicated training site accessible through the RE/MAX members-only extranet – RE/MAX Mainstreet. ATOD demonstrates the growing convergence between television and the Internet. The video-based site delivers some of RSN’s most powerful programming – on demand – all focused on helping you earn more starting now. Part of the outcome of offering the industry’s best training: RE/MAX agents dominate the rosters of real estate’s top professional designations. Linking your RE/MAX affiliation to a professional designation amplifies your referral opportunities within the RE/MAX network and across the industry. See the charts on this site that show how RE/MAX compares with other national networks in number of CRS and ABR designations – two of the industry’s most respected designations. Designation courses are generating more referrals and income. When you become a RE/MAX Premier Group real estate agent, you become part of a powerful team. Instantly, you have access to a full office support staff ready to help your business flourish. If you demand excellence, if you refuse to accept mediocrity, if you are driven by your passion to impact and improve people’s lives, you’ll love working with RE/MAX Premier Group . As a real estate agent with us, you will quickly rise above the rest. Our business is structured to make you succeed at helping people buy and sell real estate. We strive to instill confidence and trust in our clients from the moment they call our number or walk through our doors. Our staff members are well-trained, detail-oriented and dedicated to our agents. Your clients hear warm, friendly, professional voices that answer their calls. Your calls are promptly forwarded. Faxes are immediately delivered to your inbox. Friendly telephone calls or text messages alert you to the arrival of important messages, documents and information. When you become an associate with RE/MAX Premier Group, one of our office specialists will be available to personally answer your questions. It’s important that when Florida real estate agents like you place their trust in us, we deliver. While you are out working hard for your clients, our friendly, professional staff will be right here working hard for you. Our office is staffed full-time. That means your leads will go directly to you and not to the first agent who intercepts them by being in the right place at the right time. All calls from signs, print ads, and Internet leads are sent directly to the listing agent. Our Florida real estate agents get more double-sided sales with more potential clients. RE/MAX Premier Group is an attractive company organized and operated by professional people who continually seek education. Our Florida real estate agents and support personnel are committed to quality. They are responsible leaders who have integrity and are focused on individual success for the benefit of our team. With more than eleven years in the real estate industry, RE/MAX Premier Group Broker/Owner Florin Patrascoiu consistently ranks in the top real estate brokers in the Tampa Bay area. Florin has achieved a number of national and international awards. When you join RE/MAX Premier Group as a Florida real estate agent, you gain the benefit of his experience. The RE/MAX Premier Group focus is to build and sustain a highly supportive, inspiring, synergistic, and fun workplace. We know this environment fosters business growth. RE/MAX Premier Group associates are encouraged to gain accreditations and information that will help their careers blossom. RE/MAX University courses are readily available to you right in the office or at home on your own computer. RE/MAX Premier Group strongly believes in in-house training. We keep our associates ahead of the game with updated information and state-of-the-art technology. Contact us today to learn more about our incredible internationally-affiliated marketing campaigns that will knock your socks off and have you running barefoot on the ground! 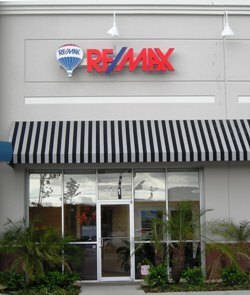 Our International Marketing Strategy will provide current and convenient real estate listing information to consumers on remax.com. The new program will provide users a seamless view into all residential property listings by creating a national collection of IDX/IDL (Internet Listing Display) broker websites. In conjunction with providing the consumer the search data they are looking for, the new system will include a state of the art lead generation and lead management system for all the associates. Amounts may vary from Agent to Agent. Please contact: RE/MAX Premier Group for exact amounts. Associates can take their listings with them without penalty if they leave the company. Associates get paid for their pending sales without penalty if they leave the company. Associates are treated like professionals. They are not charges back for training if they leave the company. Associates choose their best financial plan every year. Associates get all of their sign and advertising calls from their listings.